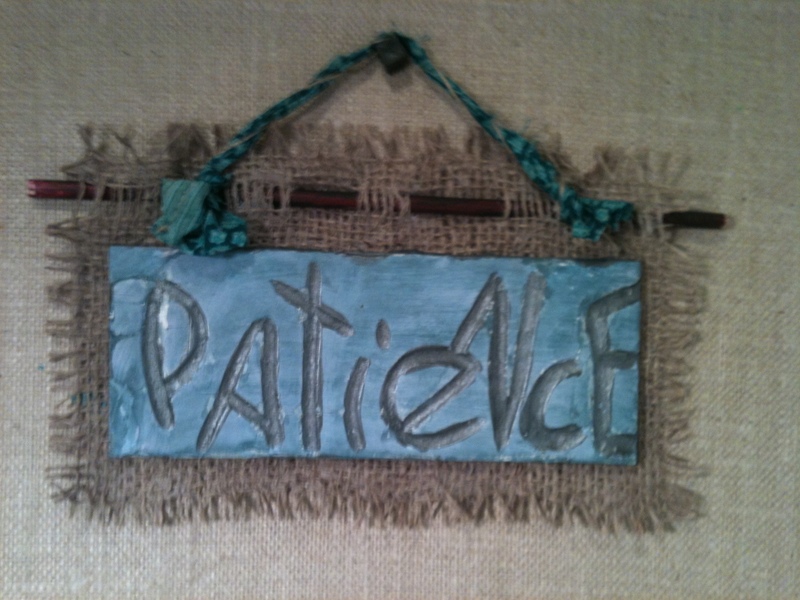 © Marianne Trent 2012 "Patience"
I made this little sign to hang in my studio over the weekend. I like the way it came out and it reminds me to enjoy the journey of creating rather than just trying to get to the end result. I feel like I have gotten to a point in my painting that I can take my time with my work. It is other areas of life that test my patience. Trusting that all will be well in due time allows the best possibility to unfold.